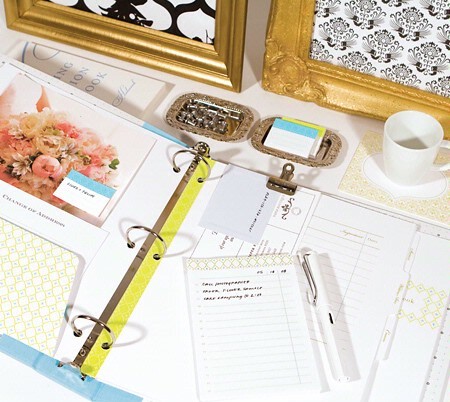 When it comes to wedding planning, there is no shortage of excitement but it also brings unsolicited advice and a lot of opinions. If you are feeling the weight on your shoulders, this post is for you. Plain and simple, it can be hard to please everyone all the time, at some point you may even hurt some feelings along the way. 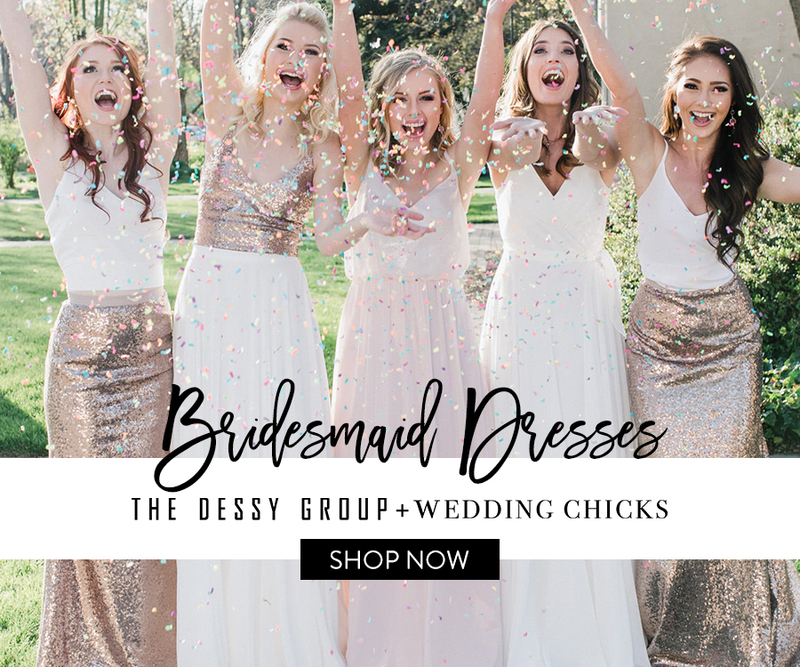 Trying to have every girl you’ve been friends with since second grade in your bridal party will only cause more headaches down the road, so keeping your bridal party super close knit is probably best! Aside from hurting feelings, could wedding planning hurt your relationship? 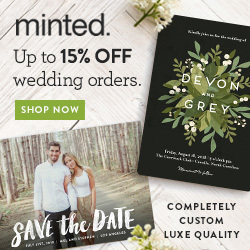 What if you are bickering about the smallest details like which flatware style to rent or what style limo you want to book.. yes these are among some of the decisions you need to make but try to take a step back and consider what you will actually remember or care about on your wedding day. As wedding planners we get to know so many different couples and no matter if they have been highschool sweethearts going on 10 years or a shorter engagement; we know that making all of these decisions and trying to stay under budget can add stress to your relationship. What is important is that from day one of planning you set a realistic budget that you both are comfortable with and agree to communicate about the costs. This will help ease both of your minds and reduce the financial pressure even if it means cutting back on some of those wish-list items. If you feel like wedding planning has opened up concerns in other areas of your relationship, seek advice and be willing to open up so that you don’t carry forward any resentment or stress post-nuptials! A healthy marriage takes a lot of forgiveness, trust, communication and understanding so try to apply these principles in your planning process and just remember that a wedding day comes and goes - but your marriage needs to always come first. 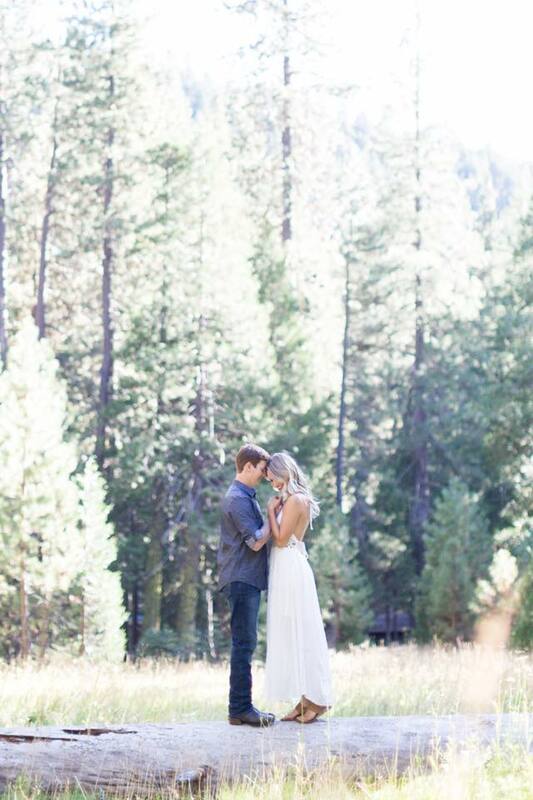 You still have time to enter into the Engagement Session Giveaway by Julia Lukash Photography! Head over to our Instgram and follow the giveaway instructions, entries are valid until Sunday 4/22 at 5 pm. We've been swooning over Julia's work since we first met years ago and we cannot wait to work with her for upcoming weddings. We love Julia's fun personality, and her passion for photography. You can check out her website to see more of her work or follow her on Facebook or Instagram. Don't forget to enter for this awesome giveaway, or feel free to share with other engaged couples! You're Engagement Session is Scheduled..It's Getting Real! The first rule is to think of what scenes would feel the most authentic to you as a couple? Are you super fans of a local micro-brewery, or maybe there is a family cabin that is your home away from home. 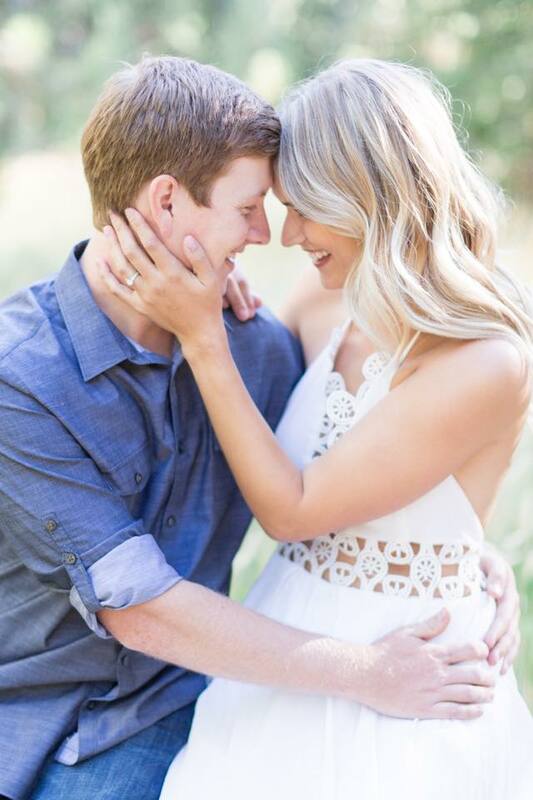 Choosing a location that makes you not only feel comfortable but that highlights your love story is one way to make the most of your session. Wardrobe: After you have selected your location, talk with your photographer about his or her recommendations on wardrobe for the specific lighting and desired look. Then choose a few looks that are easy to change into for example jeans and a cute top for one look, throw on a cardigan to change it up and lastly for the third look switch the jeans for a cute maxi or pencil skirt depending on the vibe. (Tip: Bring a blanket along not only to give you the option to sit down but your sweetie can hold it while you change if needed) Finally, bring a few statement pieces like a chunky necklace, or colorful bangle bracelets, watch etc for the nice close-up shots of your hands and that beautiful ring. Make-up: Wouldn't it be nice if you had your own personal glam squad? Sometimes it works out to schedule your hair and make-up trial on the same day as your engagement session. This is great for seeing how your make-up look photographs and it may give you that extra boost of glam confidence. If you are doing your own hair and make-up for the shoot, be mindful if you are shooting outdoors that wind can blow your hair around and you may have to keep adjusting before each shot. An updo, bobby pins or some hair accessories are helpful to avoid any hair malfunctions! Eye make-up can always be a tad more dramatic for photo's but you shouldn't need to wear extra blush or bronzer depending on the lighting. Enjoy a cocktail or cozy beverage before you begin shooting, it can help loosen both of you up and get you ready to smile in front of the camera. Some couples have even opted to take some photos that include them loosening up at their favorite pub or cafe. Have more questions? Chat with your photographer and wedding planner to relieve any of your pre-session nerves! I always said that I wanted to have a long engagement. I’d had enough friends get married over the years and tell me how quickly time flies when your busy planning and preparing for the day of your wedding (and all the events leading up to it) that they wish they would have stopped to enjoy the smaller moments, excitement of the experience, and the simple joy of being proposed to by the person you love most. What I hadn’t thought about was what defines a long engagement. One year? 18 months? Two years? There are lots of books, online articles and wedding magazines that try to define it, but this is something I learned that every couple has to define for themselves. When my long-time love proposed to me on our trip to Rome my first feeling was that of surprise, then elation, and if I’m to be honest, next came a little bit of selfishness. Here we were in Roma, Italia, a city that helps to compose the word ROMAnce, and all that mattered in the moments and days that followed his proposal were that we were engaged and in love. Not that our families wouldn’t have been ecstatic or jumping for joy had they been there, but there was something meaningful about sharing this moment alone without any outside influence – it was just the two of us. It’s inevitable that after a period of time the high and glow that comes with being a newly engaged couple will fade as you return to your normal pre-proposal routines. And it doesn’t help that wedding planning is stressful and even those closest to you, who love and support you, can unintentionally push their opinions on the two of you or cause pressure on your relationship. This is when it’s most important to stop, take a breath, turn to your partner and do something to get back into your EB. Remember that this special time in your lives really is about the two of you, your love for one another, and the commitment you’re going to make in … whatever time frame YOU CHOOSE. No matter how long you choose to be engaged, don’t forget that your engagement bubble exists wherever the two of you are and this really is a special time in your life, so soak it up. Wedding wishes and celebratory cheers! 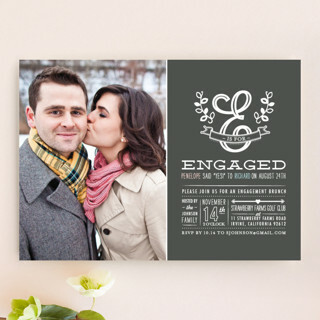 At a time of year when many couples are celebrating their engagement, many are looking for fun ways to announce their news & their date to their immediate friends and family. Call us old fashioned but Facebook just doesn't cut it! 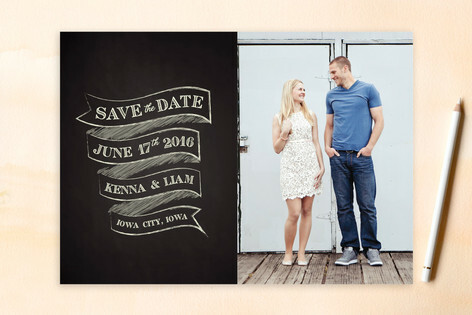 Depending on the length of your engagement you can opt for an engagement announcement, save the date card, or even a wedding announcement if you chose to elope and want to announce the nuptials. Here are a few cute ways to spread the news! Keep in mind, announcements like these do not have to correspond with your wedding theme as you may not have even defined what your theme is yet at this stage of the game. 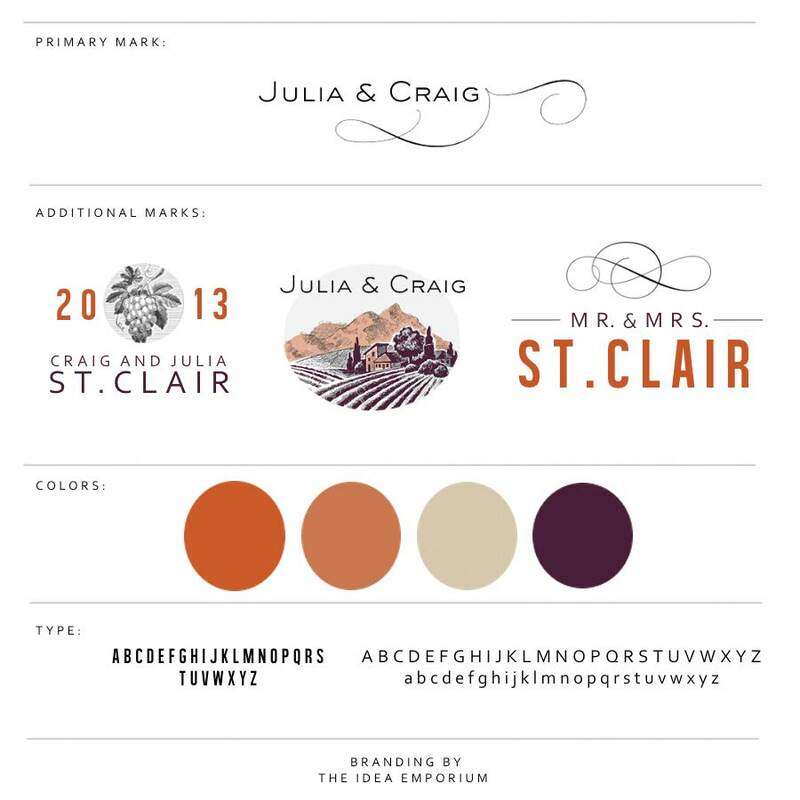 If you already have your theme in mind, or would like to create one from scratch and want to work with a local designer you can head over to The Idea Emporium and get started on branding your wedding! __________________________________________ **Disclosure: The530Bride is an affiliate of Minted.com and TinyPrints.com, we only list and recommend products and services from companies that we have personally used and believe are a good fit for our readers. We may receive a commission from products purchased directly from sponsored posts. For more information please contact us. An engagement season can be magical as a couple busily plan their wedding, shares their excitement with those close to them, and bask in pre-wedding festivities. No matter the length of the engagement, one of the crucial tasks during this time is for the couples' parents to meet and get better acquainted.After all -- they're about to become family! Whose parents reach out first? Traditionally, if the couple’s parents have not met one another, it is the groom’s parents, or specifically mother, who arrange this meeting. However, this is one of those traditions that is more for the sake of tradition than for practical, modern application. In fact, it dates back to when brides would move in with the groom's family, thus making the groom's side a dominant figure in the marriage. Even if the bride's parents wish to adhere to tradition, if no invitation or arrangement has been communicated within the first few days or weeks following the engagement announcement, it is perfectly acceptable for them to take the initiative. His parents may even be waiting for hers to make the first move. How to make contact As a parent, don’t be afraid to get the other parent’s phone number(s), and introduce yourself with a friendly call. If you’re comfortable with technology, you could suggest video chatting through a program like Skype for a more in-person vibe. If your schedules are very busy, or you find it difficult to coordinate, it is acceptable to use email, although this is seen as more of a last resort. From there you can arrange a time to meet in person that works best for everyone. 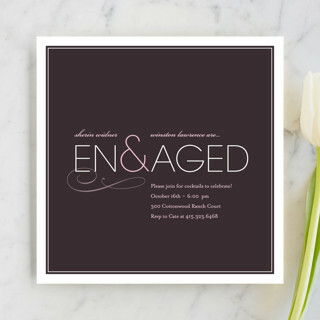 In the event that distance prevents you from getting together in person before the big day, stay in touch throughout the engagement and wedding planning process. What about divorced parents? If the other parents and/or yourself are divorced, the first question to field is how pleasant the relationship is between exes. This is a conversation to have with the bride/groom regarding their parents. If the relationships between all exes are on good terms, there's no reason not to all come together for this wonderful moment. If any relationship is not on the best of terms, you should decide to meet separately, but as close to the date as possible so as to avoid hurt feelings. In any case, it's a good thing to keep in mind that whether or not you all become best friends, this is a time to think about the kids you share, and the grandkids you might share someday. For many engaged couples, the prospect of sharing the same last name is joyous. However, for many women, changing their name is accompanied by a feeling of loss, of who they once were, and of their family heritage. Some women may even feel undervalued by the unequal treatment of only her changing her name. While the majority of brides still take the more traditional route and acquire their groom’s last name, more modern women keep their family surname, or hyphenate with their new hubby, a movement started during Women’s Lib. Some progressive husbands even change their name to hyphenate alongside their wife. But did you know that you have more options than your parents did? CA’s name change law Laws change per state, but in California we have what’s called The Name Equality Act of 2007 (AB 102, Chapter 567, Statutes of 2007), and it’s opened up a world of name possibilities to those filing for marriage and domestic partnerships. Before it was passed, multiple couples had spoken out against the state for having archaic laws that promoted gender discrimination when it came to name changes, even if the man’s intention was as noble as wanting his wife’s family name to continue, despite having no brothers. Now a couple can change one or both of their middle and/or surnames, using any of their last names that are current, or from birth. How it works You have the option of both taking his name *or* her name, hyphenating in either order, swapping names, or, for those looking for a truly unique moniker, combining your names in a sort of word scramble with segments of two or more letters, and arranging them in any way you find pleasing for your new last name. Middle names can stay untouched, be replaced by the old last name, or be hyphenated with the old last name. My husband and I opted for the “word scramble”, and after much time, effort, creativity, and names like Hartstetter, Lear, Ellis, and Muarette, our final choice was Arelleis. Need a hand? If all these options give you too much of a headache, you can always turn to a Name Consultant. While many couples are turning to the opinions of friends and family, even creating online survey sites for them to visit, some hire a professional to layout all their options for them. 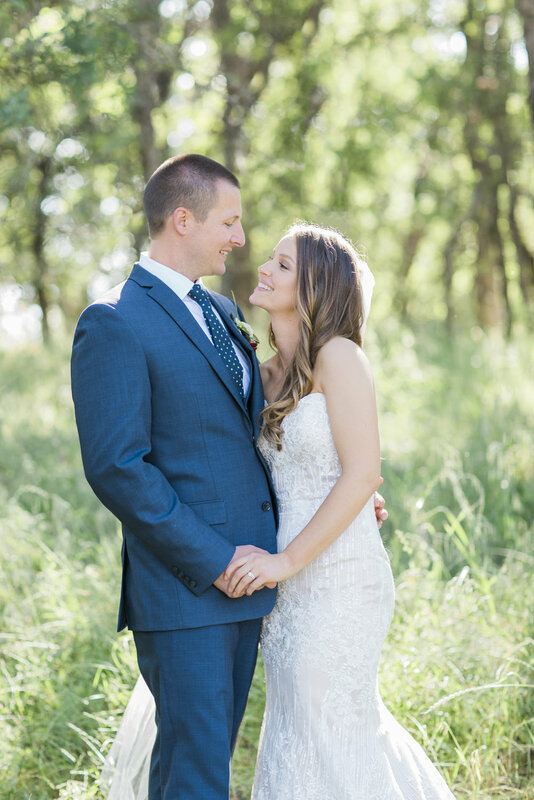 The 530 Bride offers Name Change Consulting, along with other Wedding Planning services, for which we create a customized list of all possible names and initials for a couple. Whatever reasons you have for choosing any direction with names for your new life together, just remember to do it in the name of love. Weddings are about two people making the decision to commit to one another and spend the rest of their lives together. However, weddings often become an event where you are aiming to please everyone which is impossible. 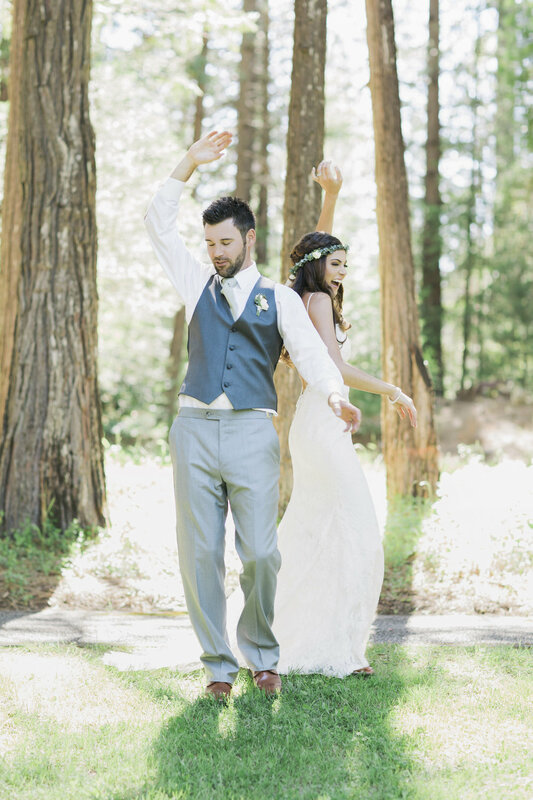 If things are getting too complicated, and you feel like you just want the wedding to be about the two of you; eloping might be the best option for you. 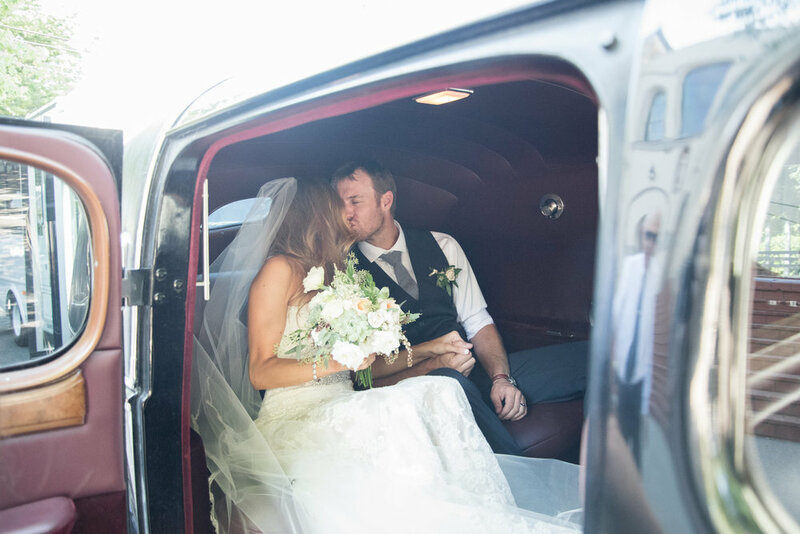 When couples elope they can have a romantic wedding ceremony, and also have a honeymoon all in the same trip! No worries of favors, centerpieces, and rentals; just an intimate ceremony. 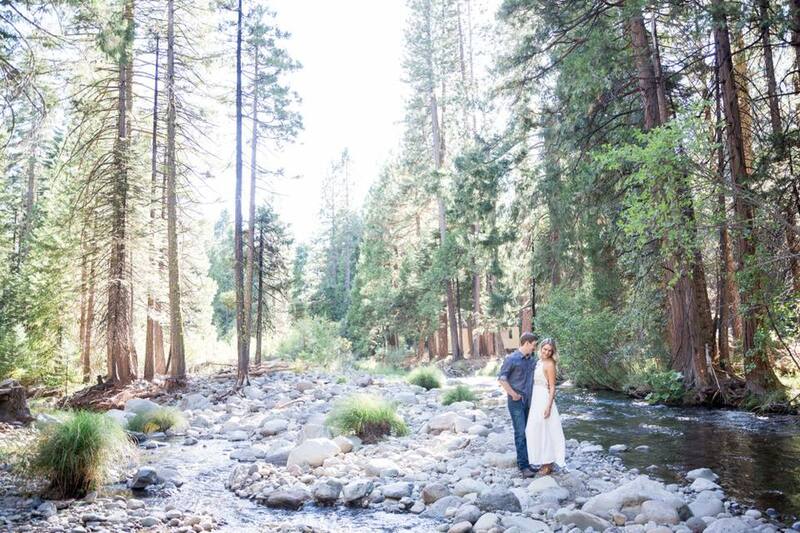 Some choose the city hall or locations like Tahoe, or Vegas to tie the knot but there are endless options. Just make sure to plan on telling your friends and family either before or immediately following to avoid hurting anyones feelings. Family If it's your first wedding, or your parents have been talking about the day they will get to see you walk down the aisle you might want to put some extra thought into your decision. If you are worried that your family will not be receptive to the idea, consider sitting them down and telling them about your concerns with having a traditional wedding. If you can come up with ideas on how to keep it low-key and more affordable, such as cutting the guest list or throwing a backyard bash you might find a happy medium. Have you always thought of your grandparents being there on your big day, or having your darling nieces as your flower girls? Eloping might not be for you. Budget A wedding budget can take on a life of it's own if you don't stay organized, as the little things add up. You will have to budget for things like cutlery, napkins & linens, security and transporation in some cases. In order to lower your overall budget, you can keep your guest list in check or even make cuts if needed. When you elope, you can choose affordable wedding packages that are designed to be budget friendly. Packages often include an on-site coordinator, flowers, ceremony officiant, music, basic photography package, sweetheart cake and champagne. 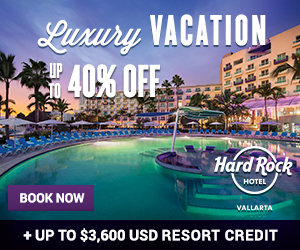 Hotels offer honeymoon suites that are designed to celebrate your exciting occasion. Destination Envisioning somewhere tropical for your big day, but aren't sure that your guests can follow? 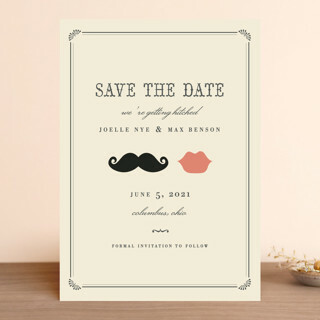 If you start your planning early, you can find packages that include a certain number of guests. You can then send out invitations to close friends and family members that you would like to come if they can. 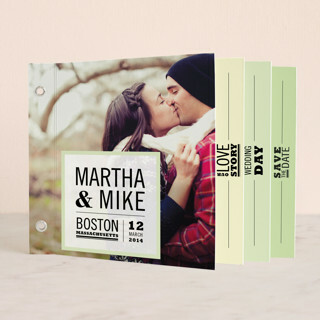 This lets them know that you would love to share your big day with them, if they can make it but you aren't pressuring them. If you decide that eloping is the best option for you, consider allowing your family or friends put together a casual reception to celebrate your union. 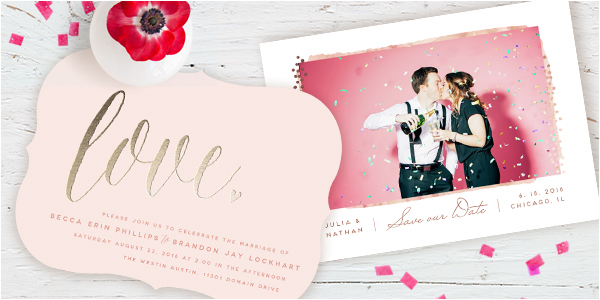 This is a great time to share your photos or videography from your special ceremony. If you would like to stay local, contact a wedding officiant to inquire of any nearby locations that are available for small ceremonies. 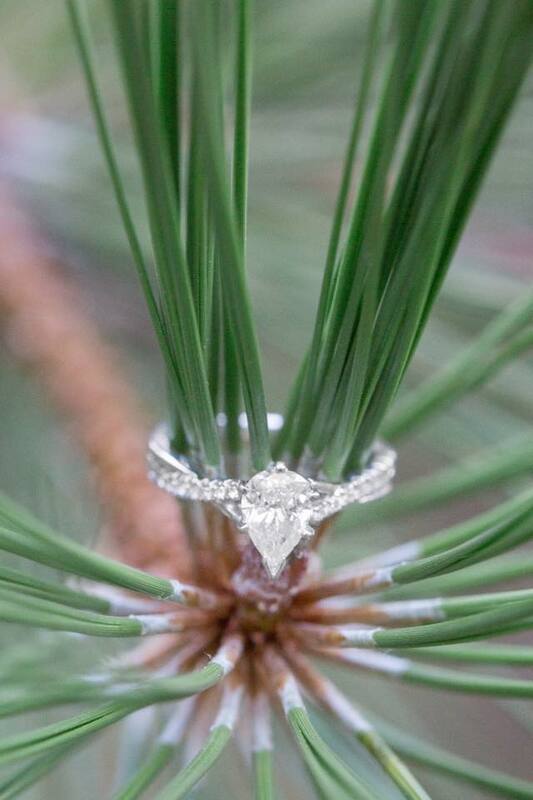 It is easy to get lost in all of the wedding buzz and excitement after you announce you are getting married. It is even easier to get persuaded by other people's ideas of how your wedding should be. You know who you are, and what you like! Focus on what is going to make the two of you happy in the long run instead of trying to impress or please everyone else. Having been in your shoes, I know that isn't easy. So let me help you clear your mind of everything wedding, and start from a clean slate. Read a few of the following statements and answer honestly, either in your head or say it out loud! If you answered no to more than half of these questions, you may be leaning towards having a small and intimate wedding rather than a large event. We are here to tell you to go for it, and have fun with it while you are planning. Small and more personal weddings are becoming very popular not only due to finances, but it helps you connect with your guests. There is a misconception that you only get to have an informal out of the box wedding if it is your second or third marriage..that is so not the case! Find a location that speaks to you, whether it is a cabin in the forest, a beach-house, bed & breakfast, a friends backyard or Paris, at the end of the day you will have the rest of your lives to think back to this wonderful time in your life so make it special. Checkout some of these photos of real weddings on IntimateWeddings.com. Some unique touches & benefits for small weddings - Having a friend or family member be the officiant for your ceremony - Maid of Honor & Best Man instead of a large wedding party - Guests bring a dessert or favorite dish for the reception - Including your pets in the ceremony - Displaying old photos at each of the tables - Make your own wedding cake - The bride and groom serving the guests their cake or champagne - Personalized notes to your guests in the ceremony programs - If you have children, having them walk you down the aisle - With less guests you can afford higher quality items such as better wine or champagne, or possibly plated dinner instead of buffet. Look for restaurants in your area with a banquet room or private patio, wineries, bed & breakfasts, hotel banquet rooms, community centers & memorial halls, parks & other city owned locations that allow events.